Now and again, a quote jumps out at me and makes me stop and think. 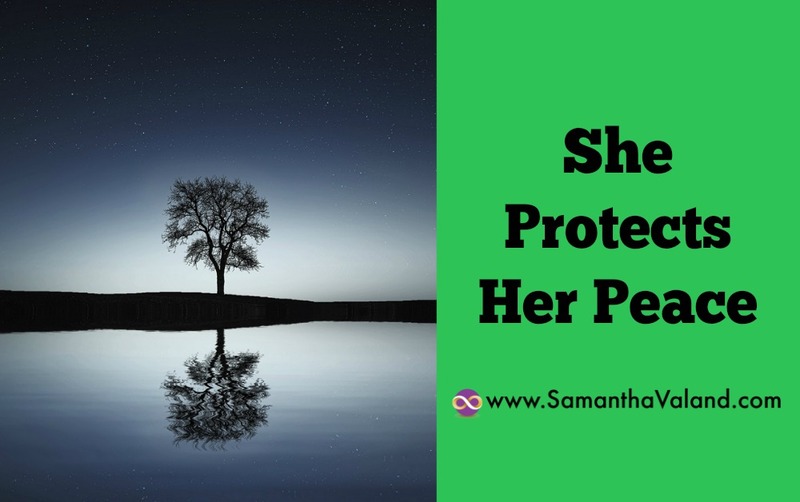 “She protects her peace” was a quote that did that last week. We often do not protect things that are important to our own wellbeing and we allow ourselves to be talked out of things if it doesn’t suit others. Not out of maliciousness but often quite simply because we haven’t said it’s important. Most of us were not taught about setting boundaries, never mind being able to do it gracefully. We were taught to be nice and put others first without being taught how to look after ourselves. We say yes to requests when we should say no and then get annoyed about it. How we behave sets the tone. Are you easily persuaded to cancel your plans or can you always find a solution to any proposal when your plans are called to be changed? Do your friends and family know what’s important to you? Do you know yourself? What do you protect or want to protect? I will rarely sleep in as I love peace and quiet in the morning. I am always the first one up and that is a conscious decision. I protect my peace. Do you complain that you have no time but allow people to waste your time? Do you waste time yourself on social media which is both fabulous and awful at the same time or other things that are not in your best interests? Do you complain you are overweight and allow people to buy you food that is calorific or make food choices that are not the best for you? Do you complain you tired but yet stay up late watching TV and do not get to bed early? When will you be fed up enough to make a change?